This Booker T. Washington coloring page depicts the famous African-American educator, activist and advocate. He rose from slavery and poverty to become one of the most famous figures of the early civil rights movement. Learn more about his life as you color him in! This George Washington Carver coloring page features him with a fistful of peanuts, the plant he's famous for popularizing. This T-Rex coloring page features the infamous Tyrannosaurus Rex. Second graders get a kick out of coloring in this ancient beast! 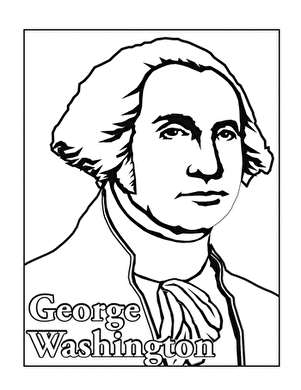 Color in a picture of George Washington according to the color-by-number guide. This Jungle Book coloring page features Mowgli, seen here hanging out with his animal friends, Baloo and Bagheera. 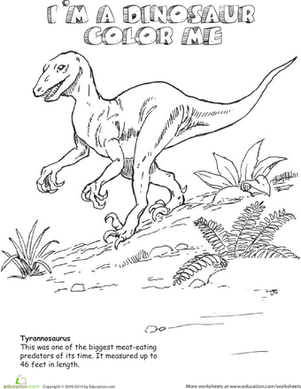 Here is a dinosaur coloring page that will give your child a fun history lesson as well! He'll read a few interesting facts about this t-rex skeleton.